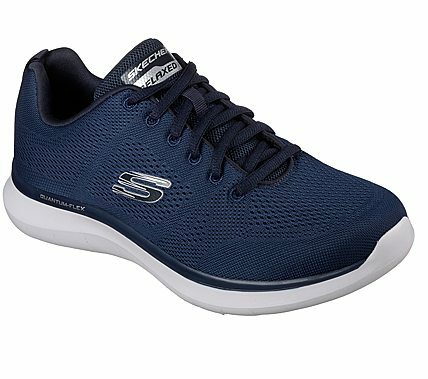 Keep your look sleek and sporty and your range of motion nearly unlimited in the SKECHERS Relaxed Fit®: Quantum Flex - Rood shoe. Skech Knit Mesh nearly seamless fabric upper in a lace up sporty training and walking sneaker with stitching accents. Air Cooled Memory Foam insole.